When Aqua Legion UK are conducting legionella risk assessments, a detailed system inspection will be required to collect all the relevant information to formulate the legionella risk assessment report. In addition to inspecting each of the water containing assets, legionella risk assessments should include all relevant information about the management structure, and persons involved in the control of the water systems being assessed. Further to this, our legionella risk assessments and legionella records include information on particular start up and shut down procedures, emergency procedures, and lines of reporting. Aqua Legion UK, also offer support in appointing a person to be managerially responsible for the water services and in organising the management structure to adequately cover the organisation. Our legionella risk assessments go that extra mile. Our legionella risk assessments are designed so that we capture the detail of the relevant information you need to manage the risk going forward in one concise, and understandable document. This is where our experience in the provision of legionella risks assessments and practical knowledge can be of significant benefit to any client. Whilst many assessors use similar criteria, it is the detail of such content along with the way it is presented and communicated that will define the quality of your legionella risk assessments. Legionella risk assessments with insufficient information and detail will serve very little purpose in empowering the client to make valid decisions about managing the risk of legionella. Our Legionella risk assessments combine a simple to use format, independence, experience, knowledge and competence that means we are able to take a balanced approach to assessing the risk of legionella. We often see perfectly operating water systems which due to there age do not meet current standards. However, this does not automatically result in a high legionella risk system or result in us giving a system a higher risk rating. Sometimes an old system, which does not meet current standards can operate in a way that is inherently hostile to legionella. In fact, sometimes these older systems can operate and reduce or control the risk of legionella better than a new water system with all the bells and whistles. It is this balanced approach of knowledge, understanding, experience and competence that Aqua Legion UK bring to the the provision of legionella risk assessments. Are all cooling towers always a very high or high legionella risk? Far to often we see perfectly operating and well managed cooling towers being automatically assigned a very high risk rating regardless of the water management programme that is in place. However, in many cases this cannot be correct!! Why you may ask? If the risk from a cooling tower cannot be controlled to an acceptable medium or low risk level then it should not be used. System that pose a high risk should be suitably managed to bring that risk down to an acceptable level that allows it to still be used or operate. Fact: If an adequate water treatment programme is in place and all the required suitable control measures are being implemented and monitored then the actual risk of infection from a cooling tower may be very low. Yes cooling towers can be managed in a way that they are low risk. That’s right cooling towers can be maintained so they pose a low risk of infection. Cooling towers can be low risk – Yes! Any quality risk assessor providing compliant legionella risk assessments will understands this concept as they define the difference between perceived risk and actual risk. Let’s turn this on its head for a second to help you understand. A cold water storage tank for example has a generally low perceived risk. However, inspections from the legionella risk assessments can easily define the tank as a high or very high risk if the conditions and control measures favour or encourage legionella growth. However, if this is not the case, the tank will normally be considered a low risk. So going back to the cooling towers issue. This type of system is has a generally high or very high perceived risk. However, if inspections from the legionella risk assessments define the system is well managed, adequately treated, tested and monitored then the actual risk from that system will be low. The whole idea of the conducting a legionella risk assessment is to identify those systems that have a perceived risk of infection regardless of whether the risk is perceived as low or high risk. The next step is to define the level of risk and where possible provide information or a scheme of controlling the risk so the actual risk is brought down to an acceptable low or medium level in order for continued use or operation of the system. If it is not possible to manage and reduce the potential risk of a cooling tower or any other system for that matter then that system should not be used at all. Knowing the number of cooling towers out there I think it would be fair to say that most of them operate safely and therefore the risk from those systems must be being managed to a suitable level and therefore cannot be very high or high. If they are high risk then people would be dropping like flys on a frequent basis. High Risk Systems Explained Simply. A system that poses a high or very high risk means that such as system is considered highly likely to or will immanently cause infection. It means it is conducive to legionella growth which cannot be controlled or is not being controlled adequately and therefore needs additional control measures to bring the risk down to a suitable level. It means there is a means of aerosol formation and exposure by susceptible people which is likely to occur. A high risk or very high risk system should be shut down, removed, replaced, renovated or altered to reduce the risk to a level that makes it suitably safe to operate. As cooling tower infections are more rear than individual cases or infections from standard domestic system for example we would say most towers are very well managed. Whilst multiple infections that cause an outbreak are typically attributed to cooling towers and receive great media attention, individuals are three times more likely to be infected from a poorly managed domestic water system which are fare more prevalent in the work place. Measures such as water treatment dosing systems which operate proportional to make up, secondary biocide treatments, daily and weekly checks etc should effectively control and reduce the potential risk of a cooling tower and therefore reduce the actual risks to an acceptably lower level. The measures implemented should be designed to allow the cooling tower to operate safely. Remember a high risk or very high risk system should not be acceptable to run on an on-going daily basis! We do accept that a cooling tower has a potentially high risk if poorly managed and that a large number of people can be exposed to the aerosol from a cooling tower. However, we all must also accept that most water systems, including a basic domestic water system, also has a potentially high risk if poorly managed. Particularly in situations such as hotels, care homes, hospitals and even large office buildings where there are shower facilities and people are exposed to aerosol every day. All such locations have a potentially high risk with some locations containing large numbers of particularly susceptible people who could be exposed to aerosols of infected from simple shower use for example. However does this issue make the water system automatically high risk? There is an important point to understand here: When assessing any water system you should know the difference between potential risk and actual risk and then assign the risk rating appropriately. Otherwise , like the common mistake that is made with cooling towers, we should give all systems a very high potential or perceived risk rating which simple would not be correct. When conducting legionella risk assessments, the risk assessor should be assessing the actual risks present and the risk rating should be based on the actual risk presented. Legionella risk assessments should offer supporting information on the potential risks a system may pose and how to manage both the potential and actual risks identified. 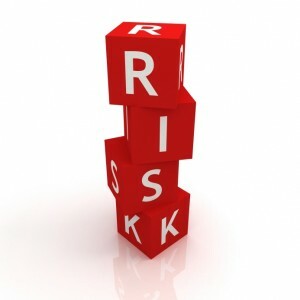 However, the risk rating should always be based on the actual risk. As a result most well managed cooling towers will not actually present a high or very high risk at all hence they are safe and legal to use. The management tasks, procedures and condition of the tower or water system should be assessed to determine the risk rating. The risk rating of a cooling tower should be specific to the particular system being assessed. Therefore, some towers will pose a high or very high risk where significant improvements are required for example and some will pose a medium risk. On occasions, those towers that are maintained and monitored robustly will pose a low, or even very low risk depending of the level of controls in place. I hope we have been able to explain clearly why a cooling tower should not automatically be assigned a high or very high risk and why we take a balanced approach when conducting or producing our legionella risk assessments. Aqua Legion UK – have years of knowledge and expertise to back up our service and our legionella risk assessments reflect this. By appointing Aqua Legion UK to carry out your legionella risk assessments you can be assured that our recommendations will be well balanced and designed to offer the client the most cost effective solutions towards compliance and safety. We believe that this balanced approach in the provision of legionella risk assessments is key to Aqua Legion UK gaining respect, trust and integrity within this specialist industry.